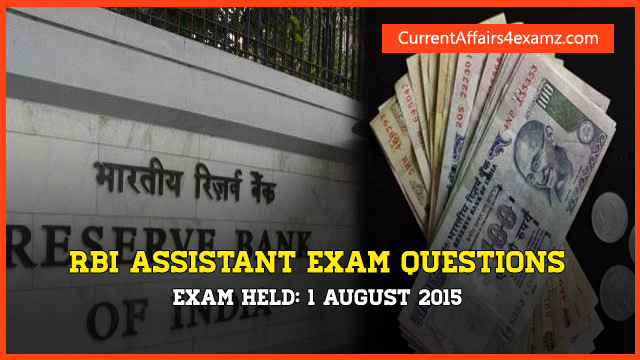 Friends.. Reserve Bank of India (RBI) today (1 August 2015) started its RBI Assistant Exam 2015. In the morning we have shared the questions asked in RBI Assistant Exam Morning Shift. Now we are sharing with you the questions asked in the evening shift. There were 05 sections in this exam: Reasoning, Quantitative Aptitude, General Awareness, English Language and Computer Knowledge. 17) International Maritime Organization Headquarters is in? - London.